Russell (Rusty) Alan Scott was born in Chillicothe, Ohio on November 8, 1960 the youngest of four children to Virgil and Janet Scott. The family moved to Scottsdale, AZ in 1964. As a Boy, Rusty was involved in cub scouts, church youth groups, sports, and band. The family relocated to Ft. Collins in 1975 where Rusty spent the rest of his life. He attended Poudre High School where he played tennis, ran track, and played baritone in the marching band. He entered CSU in 1979 - he graduated with a degree in wildlife biology and continued working at CSU for over 32 years ultimately serving as Associate Executive Directory of Academic Computing and Network Services. During college, Rusty found a passion for volleyball. He played at a competitive level for many years and was proud to be a Thunder Chicken. Rusty became extremely active in the volleyball community in Ft. Collins. 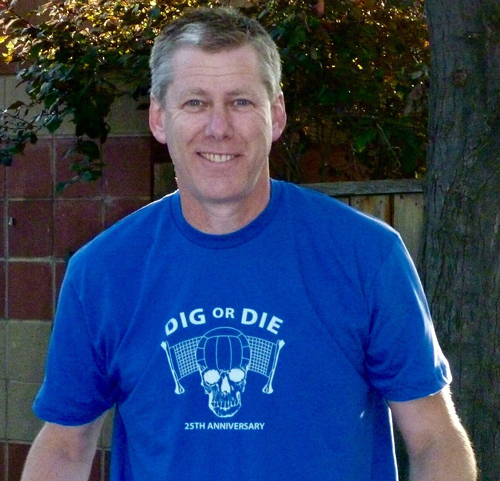 He was part of the Dig or Die Classic Tournament at the Fort Collins Club for 30 years and he played in and ran many other tournaments and leagues. 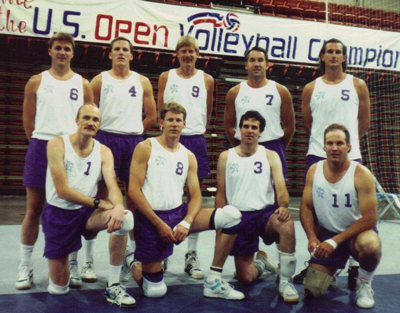 He eventually served as assistant coach for the Rocky Mountain High School girls volleyball team - a highlight for Rusty. He loved being able to infulence young volleyball players and was honored to work with the very best of coaches. As a result of his volleyball career, Rusty decided that Advil was a legitimate food group. He met Joanne - the love of his life - at, guess what - a volleyball tournament in 1991 and they married in 1992. Rusty and Joanne have 3 children: Cooper, Jenna, and Kami. Rusty was devoted to his family as a son, husband, brother and uncle. Even so, Rusty had a passion for life itself and was uniquely able to invest fully in many activities and people. He served as a Cub Scout Leader; loved fly fishing and made for the mountains any chance he could with his special group of fishing buddies; he was part of the Vineyard Church family; enjoyed photography and gardening with his Dad; listened to music and played the guitar. He was loved as a neighbor and great friend to many people.